Palestine is the name (first referred to by the Ancient Greeks) of an area in the Middle East situated between the Jordan River and the Mediterranean Sea. Palestine was absorbed into the Ottoman Empire in 1517 and remained under the rule of the Turks until World War One. Towards the end of this war, the Turks were defeated by the British forces led by General Allenby. 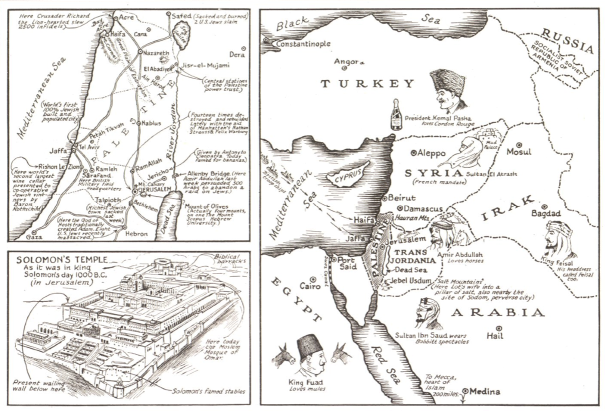 In the peace talks that followed the end of the war, parts of the Ottoman Empire were handed over to the French to control and parts were handed over to the British – including Palestine. Britain governed this area under a League of Nations mandate from 1920 to 1948. To the Arab population who lived there, it was their homeland and had been promised to them by the Allies for help in defeating the Turks by the McMahon Agreement – though the British claimed the agreement gave no such promise. The same area of land had also been promised to the Jews (as they had interpreted it) in the Balfour Declaration and after 1920, many Jews migrated to the area and lived with the far more numerous Arabs there. At this time, the area was ruled by the British and both Arabs and Jews appeared to live together in some form of harmony in the sense that both tolerated then existence of the other. There were problems in 1921 but between that year and 1928/29, the situation stabilised. (Editors Note: From Wikipedia The Emirate of Transjordan (Arabic: إمارة شرق الأردن‎ Imārat Sharq al-Urdun), also hyphenated as Trans-Jordan and previously known as Transjordania or Trans-Jordania, was a British protectorate established in April 1921. There were many urban settlements beyond the Jordan River, one in Al-Salt city and at that time the largest urban settlement east of the Jordan River. There was also a small Circassian community in Amman. The main problem after the war for Palestine was perceived beliefs. The Arabs had joined the Allies to fight the Turks during the war and convinced themselves that they were due to be given what they believed was their land once the war was over. How did the Arab territory of Transjordan come into being? The 1922 White Paper (also called the Churchill White Paper) was the first official manifesto interpreting the Balfour Declaration. 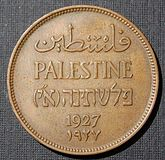 It was issued on June 3, 1922, after investigation of the 1921 disturbances. Although the White Paper stated that the Balfour Declaration could not be amended and that the Jews were in Palestine by right, it partitioned the area of the Mandate by excluding the area east of the Jordan River from Jewish settlement. That land, 76% of the original Palestine Mandate land, was renamed Transjordan and was given to the Emir Abdullah by the British. ... does not want Palestine to become "as Jewish as England is English", rather should become "a center in which Jewish people as a whole may take, on grounds of religion and race, an interest and a pride." (From Why was almost 80% of the Mandate territory of Palestine given to Arab Jordan? ... intended to serve as a reserve of land for use in the resettlement of Arabs once the National Home for the Jews in Palestine, which [Britain was] pledged to support, became an accomplished fact. There was no intention at that stage of forming the territory east of the River Jordan into an independent Arab state. Clashing with this was the belief among all Jews that the Balfour Declaration had promised them the same piece of territory. In August 1929, relations between the Jews and Arabs in Palestine broke down. The focal point of this discontent was Jerusalem. The primary cause of trouble was the increased influx of Jews who had emigrated to Palestine. The number of Jews in the region had doubled in ten years. The city of Jerusalem also had major religious significance for both Arabs and Jews and over 200 deaths occurred in just four days between August 23rd to the 26th). Arab nationalism was whipped up by the Mufti of Jerusalem, Haji Amin al-Husseini. He claimed that the number of Jews threatened the very lifestyle of the Arabs in Palestine. The violence that occurred in August 1929 did not deter Jews from going to Palestine. In 1931, 4,075 Jews emigrated to the region. In 1935, it was 61,854. The Mufti estimated that by the 1940’s there would be more Jews in Palestine than Arabs and that their power in the area would be extinguished on a simple numerical basis. In May 1936, more violence occurred and the British had to restore law and order using the military. Thirty four soldiers were killed in the process. The violence did not stop. In fact, it became worse after November 1937. For the Arabs there were two enemies – the Jews and the British authorities based in Palestine via their League mandate. For the Jews there were also two enemies – the Arabs and the British. Therefore, the British were pushed into the middle of a conflict they had seemingly little control over as the two other sides involved were so driven by their own beliefs. In an effort to end the violence, the British put a quota on the number of Jews who could enter Palestine in any one year. They hoped to appease the Arabs in the region but also keep on side with the Jews by recognising that Jews could enter Palestine – but in restricted numbers. They failed on both counts. Both the Jews and the Arabs continued to attack the British. The Arabs attacked because they believed that the British had failed to keep their word after 1918 and because they believed that the British were not keeping the quotas agreed to as they did little to stop illegal landings into Palestine made by the Jews. The Jews attacked the British authorities in Palestine simply because of the quota which they believed was grossly unfair. The British had also imposed restrictions on the amount of land Jews could buy in Palestine. An uneasy truce occurred during the war when hostilities seemed to cease. This truce, however, was only temporary. Many Jews had fought for the Allies during World War Two and had developed their military skills as a result. After the war ended in 1945, these skills were used in acts of terrorism. The new Labour Government of Britain had given the Jews hope that they would be given more rights in the area. Also in the aftermath of the Holocaust in Europe, many throughout the world were sympathetic to the plight of the Jews at the expense of the Arabs in Palestine. However, neither group got what they were looking for. The British still controlled Palestine. As a result, the Jews used terrorist tactics to push their claim for the area. Groups such as the Stern Gang and Irgun Zvai Leumi attacked the British that culminated in the destruction of the British military headquarters in Palestine – the King David Hotel. Seemingly unable to influence events in Palestine, the British looked for a way out. Instead, there was Mandatory Palestine. The idea of a mandatory nation, using the common definition of the word, is an odd one: a country that’s obligatory, something that can’t be missed without fear of consequence. But the entity known as “Mandatory Palestine” existed for more than two decades—and, despite its strange-sounding name, had geopolitical consequences that can still be felt today. The word “mandatory,” in this case, refers not to necessity but to the fact that a mandate caused it to exist. That document, the British Mandate for Palestine, was drawn up in 1920 and came into effect on this day in 1923, Sept. 29. 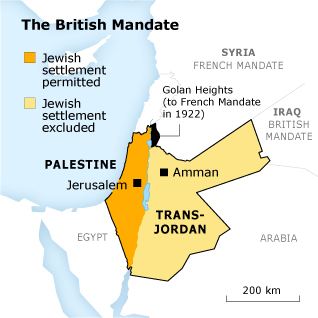 Issued by the League of Nations, the Mandate formalized British rule over parts of the Levant (the region that comprises countries to the east of the Mediterranean), as part of the League’s goal of administrating the region’s formerly Ottoman nations “until such time as they are able to stand alone.” The Mandate also gave Britain the responsibility for creating a Jewish national homeland in the region. The Mandate did not itself redraw borders—following the end of World War I, the European and regional powers had divvied up the former Ottoman Empire, with Britain acquiring what were then known as Mesopotamia (modern day Iraq) and Palestine (modern day Israel, Palestine and Jordan)—nor did it by any means prompt the drive to build a Jewish state in Palestine. Zionism, the movement to create a Jewish homeland, had emerged in the late 19th century, though it wasn’t exclusively focused on a homeland in Palestine. (Uganda was one of several alternatives proposed over the years.) In 1917, years before the Mandate was issued, the British government had formalized its support for a Jewish state in a public letter from Foreign Secretary Arthur James Balfour known as the Balfour Declaration. But by endorsing British control of the region with specific conditions, the League of Nations did help lay the groundwork for the modern Jewish state—and for the tensions between Jews and Arabs in the region that would persist for decades more. Though Israel would not exist for years to come, Jewish migrants flowed from Europe to Mandatory Palestine and formal Jewish institutions began to take shape amid a sometimes violent push to finalize the creation of a Jewish state. Meanwhile, the growing Jewish population exacerbated tensions with the Arab community and fueled conflicting Arab nationalist movements. The clashes in Mandatory Palestine, which at times targeted the British or forced British intervention, began to take a toll on U.K. support for the Mandate. As early as 1929, some newspapers were declaring “Let Us Get Out of Palestine,” as TIME reported in the article on Jewish-Arab tensions. Though the Mandate persisted through World War II, support in war-weary Britain withered further. The U.K. granted Jordan independence in 1946 and declared that it would terminate its Mandate in Palestine on May 14, 1948. It left the “Question of Palestine” to the newly formed United Nations, which drafted a Plan of Partition that was approved by the U.N. General Assembly—but rejected by most of the Arab world—on Nov. 27, 1947. As the day of May 14 came to an end, so did Mandatory Palestine. The region was far from settled, but the Mandate did accomplish at least one of its stated goals. Mere hours earlier, a new document had been issued: the Israeli Declaration of Independence.